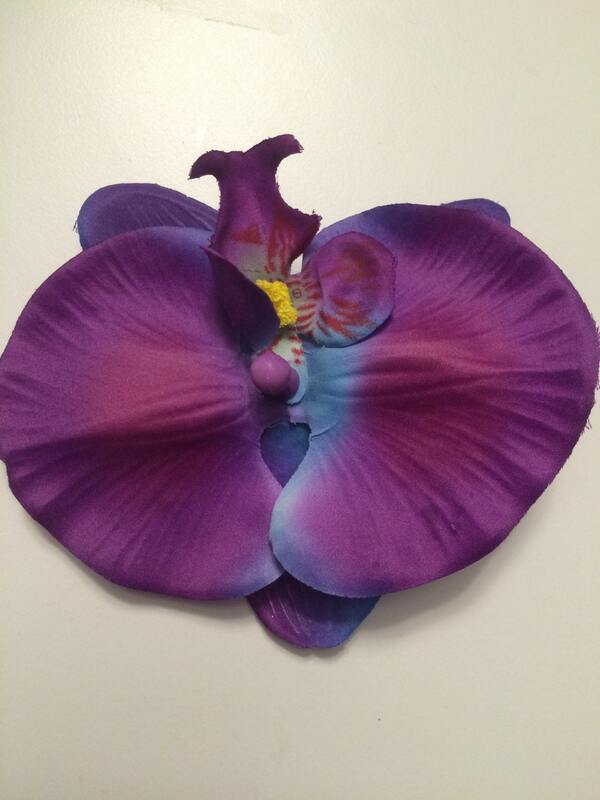 Beautiful purple and blue orchid clip. Wear one or wear 3 it's up to you. Paypal and Credit Card only please. If you have any questions or need refund, please contact us within 15 days of purchase. Item needs to be in same condition for refund. Return shipping cost is buyers responsibility. Once payment has cleared, order will be shipped within 3-5 business days via first class mail. We love doing custom work. Feel free to contact us!